Many people think of frozen pizza as tasty and convenient. Wisconsin is known as “America’s Dairyland” and some of the cheese that is produced here ends up as topping for frozen pizza. However, for the workers in the Palermo’s factory, frozen pizza is no treat. 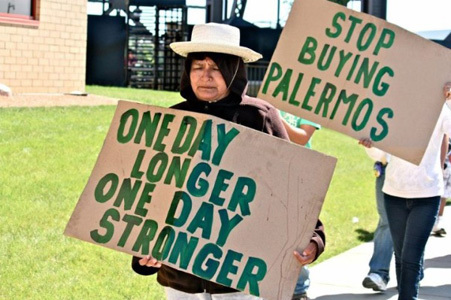 Palermo‘s factory workers are often recent immigrants, but despite their vulnerable position they banded together and presented their employer with a petition, signed by 150 workers, stating their intent to unionize so they could effectively discuss issues of safety, health and wages. 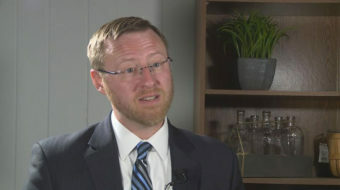 The company responded, not by pulling up a chair to the negotiating table, but rather by calling for an “immigration audit” that would require workers to produce additional documents to verify their legal status. The workers responded to these sleazy employer tactics with a strike on June 1. On June 7, immigration officials quite rightly halted the audit, due to the labor action, and on the next day the company fired 75 workers outright. 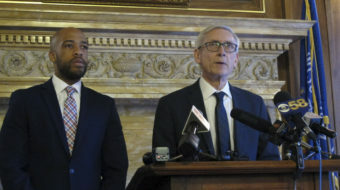 Last month, the Milwaukee office of the National Labor Relations Board found that the company unlawfully terminated nine workers, including two temporary employees, in retaliation for supporting organizing and strike activities. The workers have already stated their intention to pursue justice for the other 75 in an appeal to the NLRB in Washington, DC. Meanwhile the strikers have found a great deal of solidarity from the public, sometimes coming from unexpected places. The University of Wisconsin at Madison is a major consumer of Palermo’s products, not only making it available at it’s two largest venues, the Kohl Center and Camp Randall but also allowing Palermo’s to use it’s famous Bucky Badger mascot logo in its marketing. 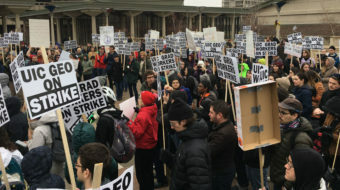 United Students Against Sweatshops, a national student labor group, has taken up the cause of the Palermo’s workers, walking picket lines in Milwaukee and protesting at Costco stores, which is the largest purchaser and distributor of Palermo’s Pizza across the country. USAS members in Wisconsin are embroiled in a struggle with Ward over UW-Madison’s contracts with Palermo’s. Lisa Bergmann, national chair of the Young Communist League, visited Wisconsin earlier this year and took part in an informational picket urging consumers to boycott the product. Bergmann said she was struck by the coalition supporting the strike and boycott. “It is not just traditional union households, it is also immigrant rights activists who recognize the blatant abuses at work here,” she said.